When we hear "cheese" and "breadcrumbs" we know we're in for a good recipe! And this one is no exception - Romano Baked Bass is a cheesy, crunchy delight. 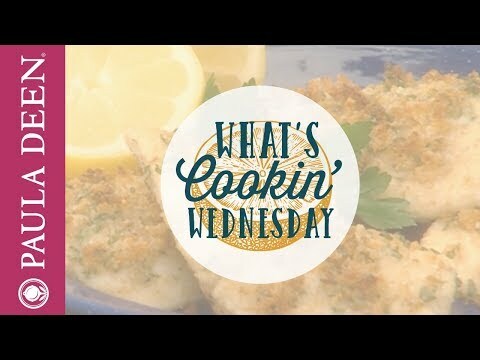 Romano, lemon, paprika, parsley, and breadcrumbs are a perfect compliment to fish! Combine the bread crumbs, paprika, cheese, and parsley in a medium non-reactive bowl. Rub each fillet with lemon juice, and then dredge each fillet in the crumb mixture to evenly coat. Place fillets on a baking pan lined with waxed or parchment paper. Drizzle olive oil over the fillets. Bake in the oven for 10 to 15 minutes or until fish fillets are cooked through.